In a Landslide Victory, the Restoring Constitutional Governance Act, H473 passed out of the Idaho House of Representatives on Monday, 2/26/2018 with a final vote of 63-4-3. This legislation is the strongest in the nation as it explicitly prohibits the laws of war from being used on non-soldiers in Idaho, and Idaho citizens anywhere, and will punish any person, including Federal or international agents, who attempts to utilize those powers. 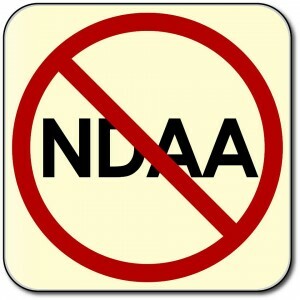 The bill was drafted by the Founder of People Against the NDAA (Panda), Daniel Johnson, along with the National Director, Legislative Affairs, Patriot Coalition, Jeff Lewis, and General Counsel, Patriot Coalition, Richard D Fry. Local groups and individuals in Idaho and abroad from across the political spectrum oppose the indefinite detention provisions of the NDAA. From Idahoan Alma Hasse who was unconstitutionally detained for speaking out in opposition to her county commission’s railroading of the people’s property rights in regard to fracking; to Idahoan Ammon Bundy who was a part of the Standoff in Bunkerville Nevada and Burns Oregon who was held unconstitutionally and not afforded a speedy trial. Ammon Bundy says: “As you may be aware, The Restoring Constitutional Governance Act was passed in the Idaho House with a final vote of 63-4-3. To this I loudly applaud the Idaho house representatives. This combined effort to defend each other against secret acts of violence from our government is a great example of how people unite in maintaining and defending individual rights. I humbly remind each of you that the primary taker of life, liberty and happiness in the past has been those working in government position, especially on national levels. For this reason our nation was built upon Constitutional limits including checks and balances between local, State and Federal. The only purpose for any government is to assist individuals in claiming, using and defending their rights so they can live happy and free. The Idaho house of representatives have taken great steps to defend the people’s rights. I thank and honor them for this and ask that the Senate and Governor do the same by making the Restoring Constitutional Governance Act protective law in Idaho. I also want to thank those at PANDA for their great efforts to sound the alarm and bring much needed awareness to this perverse and horrifying act of US Congress known as the NDAA. From Rachel Maddow and the Young Turks to Judge Napolitano and Ben Swann pundits, journalists, and civil liberties experts agree, the indefinite detention provisions must be stopped. If this bill passes into law, Idaho would become the sixth state to take steps to stop indefinite detention, joining Alaska, California, Michigan, New Hampshire, and Virginia. Several local governments have passed similar legislation in the state of Idaho as well including Emmett, Middleton, Gem County, and Bonner County. H473 moves on to the Senate State Affairs Committee we will update this article when the hearing is announced. You can also check PANDA’s Facebook Page for updates. Thank you to our entire PANDA family for your continued support, you make all of this possible. We are not an institution, we are a people. We are not an organization, we are a movement. We are not a group, a tribe, a flock, or a crowd. We are individuals, and city by city, county by county, state by state, and nation by nation, we are taking back our future. We are People Against the NDAA, and Tyranny. Stops. Here. Contact the Senate State Affairs Committee and politely urge they stand for our most basic fundamental human rights and the oath they took to the Constitution and vote YES on H473.